Chip Scarinzi is an award-winning communications executive by trade and a dyed-in-the-wool baseball fan at heart. 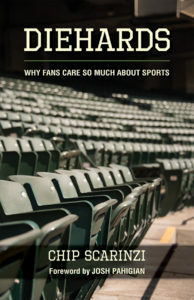 A lifelong Philadelphia sports fan, he lives with his wife and two young daughters in the shadow of the O.co Coliseum in nearby Alameda, Calif. Diehards is the manifestation of his own passion for sports and a desire to understand why he and his tribe care so much about games. 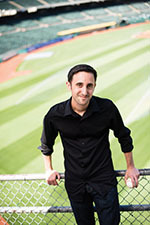 He is an Athletics season ticket holder, member of the Society for American Baseball Research (SABR) and spends most of his free time at the ballpark. Author photo by Dennis Agatep.